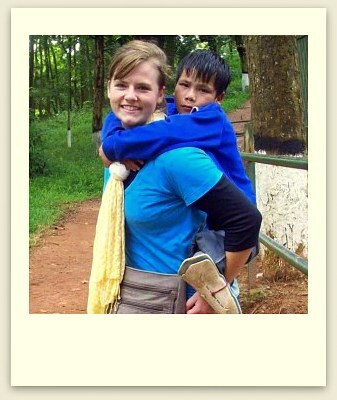 One of the children, Pilton, was definitely one of the most memorable people from India. He was about five and was unable to speak or understand much language. Whether it be spoken or signed. However, he was one of the most joyful people I have ever met! He had a problem drooling, especially when he got excited. When we would be sitting on the ground, he would run up behind us and hug us. You always knew it was him because he had a really high pitch squeal and you would feel warm drool fall down your back.